Vending by JSR are proud to have supplied Scot Chip ltd their first Vending machine. 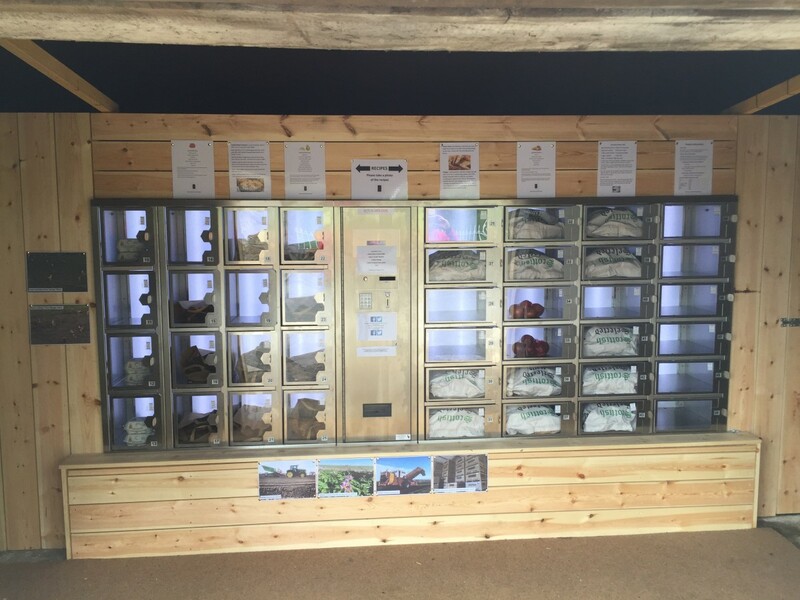 Last month Scot Chip owners James and Elinor Logan installed a fresh produce vending machine at there farm, Samuelston South Mains near Tranent. 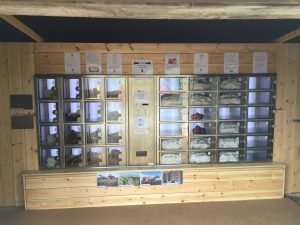 Since 2009 Scot chip have been supplying processed and packed potatoes to customers all over the country but felt they wanted to build on the smaller local customer base they already had. There was always a demand for smaller packs of potatoes locally and with farm shops doing well and the growing culture of people wanting to buy direct from the farm the Logans really wanted to offer their product direct to the local consumer. An exsisting building next to the busy main road was the obvious place to house the machine. Being a garage at one time this offered an excellent home for the machine and due to its size and dimensions it has more than enough room if the family ever want to expand the machine due to demand. The machine Scot Chip has installed is a 40 locker machine made up of two different locker sizes. There is enough room in the lockers to sell up too 12.5kg of potatoes and other vegetables. They family has also sourced locally produced eggs so offer a wide variety of products. If your in the area pop in at EH34 5DU and get yourself some top quality produce and see these exciting machines in action.